A Class Just for YOU! When you have SVT, you have a choice, you can wake up every day scared and afraid, or you can wake up feeling empowered and do things that are within your control to prevent SVT episodes. In a way, everything we do either contributes to an episode or helps prevent and avoid episodes. Learning the BASICS is an essential to knowing what you can do to help yourself. I am so passionate about helping you learn the same things that have helped me to completely reduce my episodes to less than one every 4 years (and the “one” was only because I set off all my “triggers” like a perfect storm) which is exactly what I want to teach you how to avoid. I used to have SVT all the time. I used to live in fear of them and never know when one would strike. When one did, I was panicked, afraid, and felt out of control. When I wasn’t having an actual episode, I felt like I was going to have one. I had POTS, was unable to move from bending or sitting to standing without a drastic change in my blood pressure. I was unable to lift my child, I was unbale to withstand heat, I was unable to drive far away alone, and lived in fear everyday of my life. WE DONT HAVE TO LIVE THIS WAY! I am FREE of ALL of those symptoms now. The truth was, that I wasn’t exactly eating healthy. I wasn’t exactly living a life I loved, and I wasn’t exactly free from old childhood pain, traumas, and patterns that I was repeating, including a real LACK of self-care. SLOWLY, I changed my life. SLOWLY I changed and transformed my diet. SLOWLY I took control of my life, health, diet, finances, and with every step, I felt better and better. Living with SVT means accepting that we have to take our health into our own hands. This class will help you do just that. It is a step, in a series of steps that you can do for yourself. Valuable information that you can use to help you feel better TODAY! I use a platform called ZOOM to host the class. It is kind of like a live classroom. You will see me in a large video box and I will see you all in smaller video boxes. If you are shy, you don’t have to be visible. When you talk, your video box gets a little larger so we can know who is talking. It’s really cool. If you miss class, can’t make it, have to leave early, etc, you can re-watch it anytime. If you want, you can even email me your questions in advance, and I will be sure to answer them. This will be especially helpful if you know you will miss a part or all of the class and want your questions answered. To register: Click on the link below and it will take you to my website to register and pay. I receive the confirmation and reply with your link and eguide the day of class. I HOPE that this tool helps you and I look forward to presenting you with all the SVT BASICS that each of us need to know and do to practice healthy SVT prevention! To learn more or Register Click HERE. 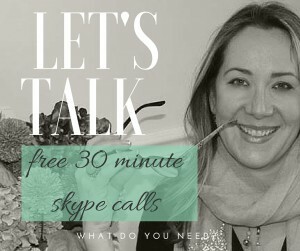 Interested in working with me? 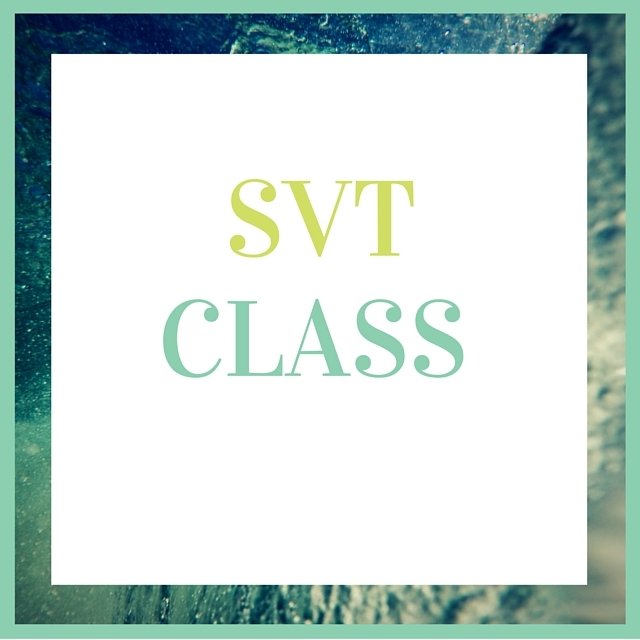 Book a FREE SVT Coaching Discovery Session below!